A farmer has been offered £2,400 for his cow by a cult after it was born with five legs and seven feet. Abhinav Abrol, 24, has been inundated with visitors hoping to see the two-day-old calf which is apparently fit and healthy – despite the extra limb. Worshipers think the cow – a sacred animal in the Hindu religion – is a “lucky charm” and one “cult” has offered him 200,000 rupees for the animal, local sources said. 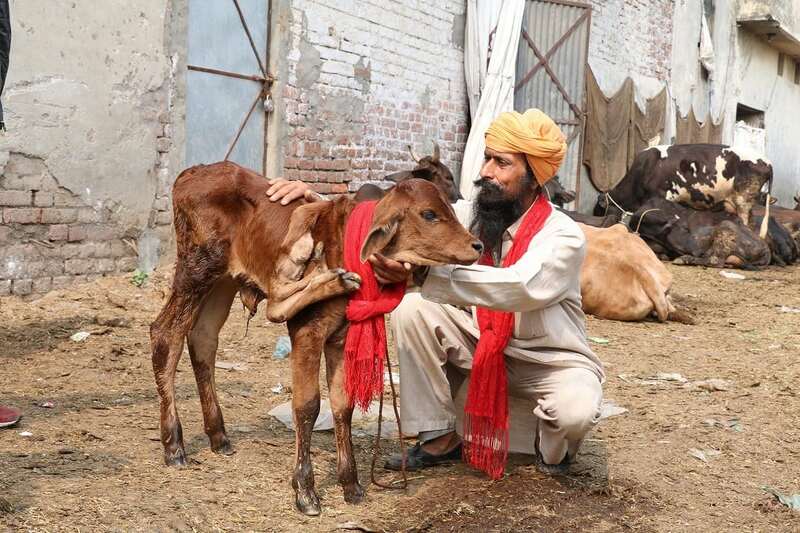 But Mr Abrol from Ludhiana district in Punjab, India, has refused to sell the baby cow which has a fifth leg next to its neck – which has three extra feet. 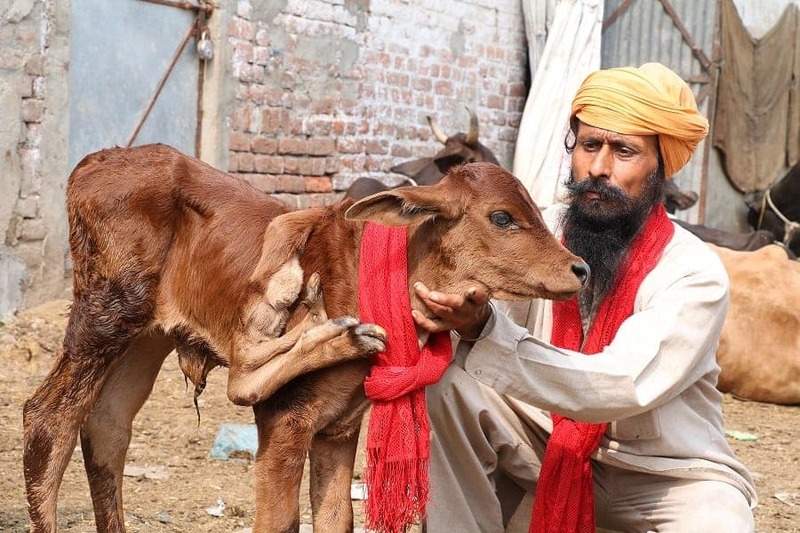 One local said: “He has been offered approximately rs.200000 but the owner is emotionally attached with this calf and he has dedicated it to his father. 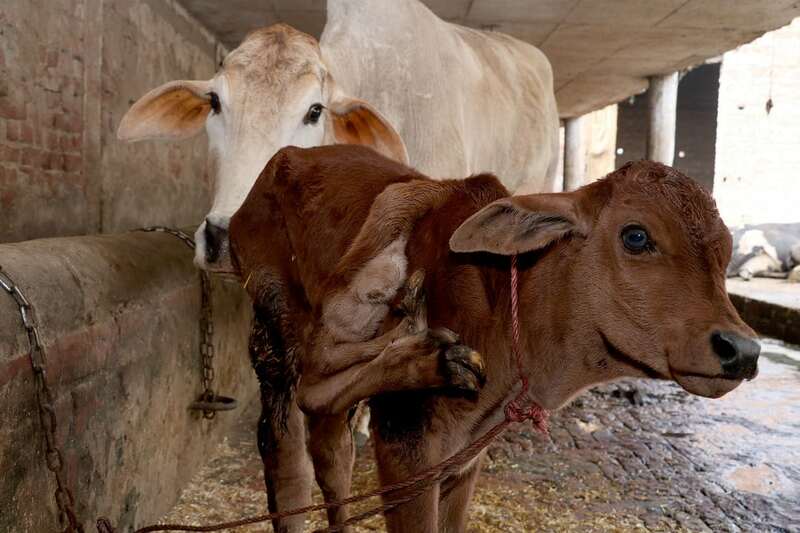 “This new born calf has suddenly become a centre of attraction and people are coming from far flung areas to see him. “People are really excited to take photos with this calf and some people are treating him as a lucky charm. “They are worshiping him and offering money in front of him.